Dr. Mbuvi is a medical doctor by profession with a bachelor’s degree in medicine and surgery from University of Nairobi. He has 8 years of experience in the health sector and has worked as a sub-county medical officer and a medical superintendent. 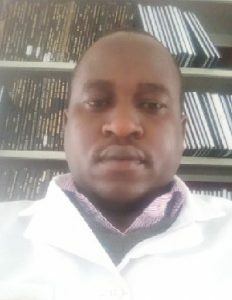 Dr. Mbuvi is currently pursuing a master’s degree in medicine at the University of Nairobi and brings to the board a rich experience in public health issues. Dr. Mbuvi represents the Professional Associations in the Board. Dr. Mbuvi is a member of the Environment, Water, Sanitation and Social Services committee and the Finance, Strategy and Human Resource committee of the board.